Nature Girl uses all natural, organically grown and wildcrafted ingredients, carefully cultivated on small family-run organic farms from all regions of the world to provide you with products that protect and nurture your skin and your health while also protecting the environment. We do not use any synthetic fragrances, synthetic dyes or animal testing. All of our nut, seed plant and flower oil are cold pressed and refined using old fashioned methods such as paper filters and natural clays, and our essential oils are organic or ethically wildcrafted and steam distilled. Organic farming is a system of agriculture that does not use synthetic pesticides, synthetic fertilizers, growth hormones or livestock food additives. Prior to World War II all farming in the United States was organic farming, accomplished in harmony with nature and without the use of harmful man-made chemicals or modern machines. Since then, the use of pesticides in farming has increased by one thousand percent, even though one third of all pesticides, one half of all herbicides and ninety percent of fungicides have been shown to cause tumors in test animals and crop losses due to pests are on the rise. In 1950 less than ten percent of all cornfields in the United States were sprayed with pesticides. Today almost ninety percent are treated with synthetic chemical pesticides. In 1939 there were thirty-two pesticides registered with the federal government. Today there are eight hundred and sixty, formulated into twenty thousand different products. Many of us even today have detectable amounts of DDT in our tissues even though this harmful chemical was outlawed in 1972. Only four percent of pesticides in use today have been adequately tested for their complete harmful effects on humans, but continue in widespread use anyway. The United States is one of the largest users of pesticides and synthetic chemicals in the world with rates of cancer (after subtracting lung cancer and better detection methods) that have increased by thirty-five to forty percent since the end of World War II. Many scientists now believe that these elevated rates of disease form a direct causal link with the simultaneous increase in the use of synthetic chemicals, including pesticides in the environment. Many people don't realize that when farmers spray their crops with pesticides, roughly twenty five percent of the chemical even hits the crop. The rest travels for miles polluting the air, the water, the soil, eventually contaminating our streams, our fish, our crops, ruining our health and the environment. Organic Farmers use a labor intensive means of farming that includes the use of crop rotations, green manures, and biological control to maintain soil productivity and pest control. Instead of harsh chemicals, organic farmers control crop destroying insects by introducing other natural predators such as ladybugs. No synthetic chemicals or fertilizers are used. The process is one hundred percent natural and chemical free. Most skin care products today are nothing more than a mixture of harmful, man-made chemicals. Prior to World War II, women made their own natural skin care products at home using plants, cold-pressed vegetable oils and herbs from recipes passed down through generations. However, after the war, factories used to make chemicals for the war effort needed new markets and manufacturers soon found that they could meet a growing demand for ready-made cosmetics. Women were entering the work force in greater numbers and there was a growing demand for convenient, store bought goods. 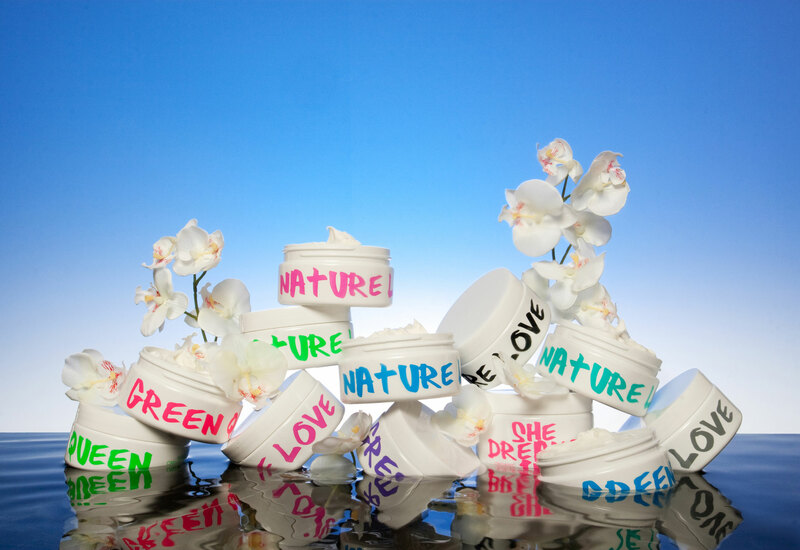 Manufacturers soon found that not only could they make synthetic versions or mimics of natural, plant-based creams and lotions, but they could do so at rock bottom costs by using cheap, synthetic chemical "substitutes". Unfortunately, at this time, what manufacturers did not know was how harmful these chemicals would be for our health and for the future health of the environment. There is nothing more beneficial to your skin than natural plant essences. Studies have shown that synthetic chemicals are skin irritants, allergens and substances our bodies do not recognize and therefore do not know how to process, breakdown and eliminate. Instead, these harmful chemicals collect inside our bodies, eventually contributing to the formation of unwanted disease. Our skin is like a giant sponge. Everything we put on it is eventually absorbed into the body. Think about it. If you wouldn't consider drinking a glass full of synthetic chemicals, why would you put them on your skin? The same principle applies to our eating habits. We look and feel better when we eat a diet of organic whole foods than we do on a diet of synthetic, man-made junk food. The skin should be taken care of with as much care and attention. Everything that our bodies come in contact with has an effect on our health as it has an effect on our beauty. Beauty and good health go hand in hand. Please join us and use organic and wildcrafted products whenever you can. Together we can make a beautiful future for ourselves, our children and future generations to come. Nature Girl donates a large portion of after-tax profits to projects that benefit and improve the lives of women and the environment. Nature Girl, the new skin care line by Nannette Pallrand (creator of Rich Hippie organic perfume), uses organic and wildcrafted ingredients grown on small, family-run farms from all corners of the world. The products are safe for your health and safe for the environment, hip and chic, organic and green, funky and fresh, happening and just plain fun. "Today's woman wants luxurious products, wants to look beautiful but not if it means ruining her health," says Pallrand. "Most skin care products on the market today are nothing more than a chemical cocktail packaged to look natural and deceive the customer. Not only do they harm the customer by overloading her with synthetic chemicals but they harm the environment by washing off in the shower and polluting our waterways which in turn pollutes our crops and contaminates our food supply. We deserve better than that." And Pallrand ought to know. The daughter of Princeton University and Rutgers University science and math professors who graduated from the University of California at Berkeley with a Bachelor of Arts degree in Political Science with highest honors and has a Masters Degree in Business Administration from the University of Michigan, Pallrand grew up learning about the environment from an early age. "My father was a science professor who was very passionate about protecting the environment. He taught me about the greenhouse effect and global warming way before they became popular topics in the mainstream news media. He was also an avid hiker who took me on hundreds of trips throughout the Adirondacks, New Hampshire, Vermont and Maine. Not a day went by without learning something about nature, the environment, diversity, conservation." Pallrand also developed a special appreciation for nature during her extensive travels throughout the world, spending several years living in Brazil, which according to Pallrand: "Truly gave me an appreciation for nature just because of the sheer beauty of the country, the overwhelming diversity of plants and flowers." Nature Girl also celebrates women and their very large and unique contribution to the environment. "As I became interested in pursuing a career that was connected to environmental issues I quickly discovered that most of the really great and influential books written about the environment were in fact written by women. Women clearly are the leaders in this field. The character "Nature Girl" grew out of this reality. To me, Nature Girl is a modern-day super hero who takes the lead, confronts adversity and saves us from the perils of toxic chemicals, corporate greed and pollution. This is someone who most women can identify with. Beautiful, but more importantly, smart, determined and a leader. And with products like "Flower Power," "Nature Groupie," Generation Nature," "I Love Organic," and "She Dreams In Green," one can rest assured that a clean planet is just around the bend.